MONTREAL — A serious flaw in how macOS handles code signatures can lead to the compromise of multiple applications on Apple computers. Worse, the issue is largely unknown to most Mac users, and even most Mac administrators. “Because macOS checks code signatures very infrequently, it is easily possible to hijack a legitimate application that is already installed on the system without triggering any kind of code signature check,” said researcher Thomas Reed, director of Mac and mobile research at Malwarebytes. 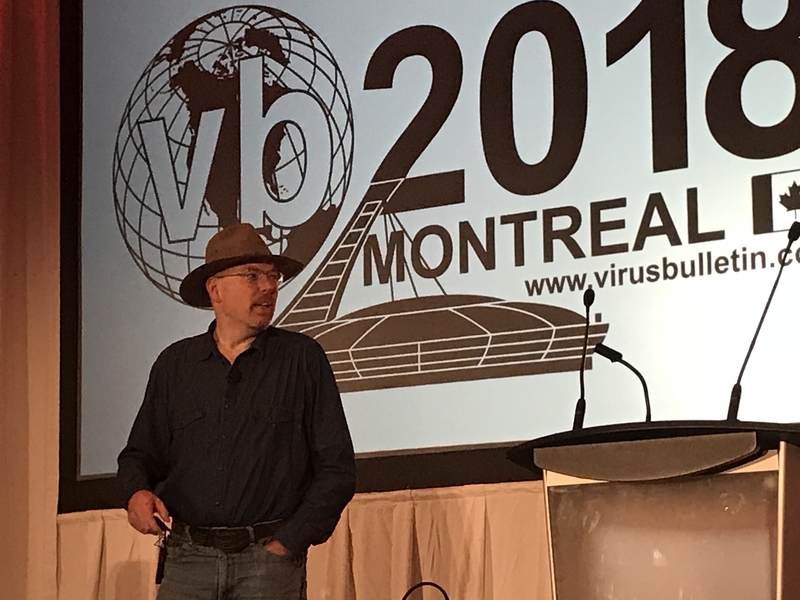 In a talk at Virus Bulletin 2018 in Montreal on Wednesday, Reed explained that the Mac platform won’t run apps that aren’t code-signed; macOS will automatically block anything trying to execute without a valid signature. The upsides to this are obvious, he noted. 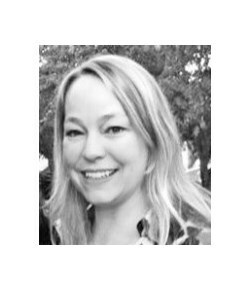 “This approach gives Apple really good control over a Mac’s application environment. You can’t distribute an unsigned app, nor can you push out one that’s had its signature revoked,” he said. However, the way Apple handles this process has a hole in it. Apps are essentially quarantined when they’re downloaded by a Mac user; any executable is given an initial caution flag. The system then checks the code signature, and makes sure the application is not a known piece of malware. If it passes, the app is given clearance on the machine as a piece of trusted software. That’s where the issue lies. At that point, macOS stops checking that application, once the quarantine flag is wiped out. “From now on, it will open as an already-trusted app that never gets checked again by the gatekeeper,” said Reed. And that means that malefactors can infect almost any application already running on the machine (if, of course, they’ve gained access to the user’s software libraries). 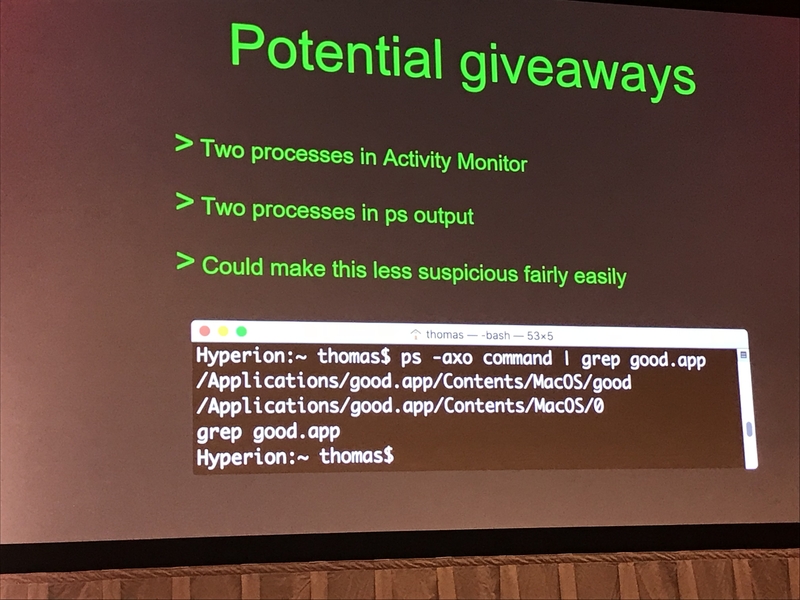 “An attacker would simply replace the legit executable in an app bundle with a malicious copy – and then rename the original to something else,” Reed explained. 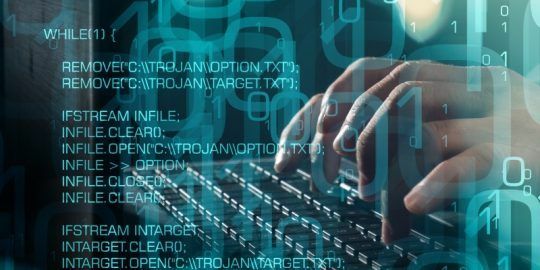 In a proof-of-concept that he developed, the malicious executable will then launch when the application is called – but it also launches the renamed legitimate file. This means the application will appear to have its usual functionality while the malicious functions launch in the background – so the user isn’t aware of anything being amiss. “Most people are not at all suspicious of programs they have been using for some time without any issues,” Reed noted. 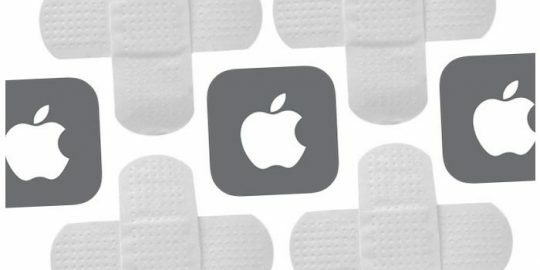 Reed said that some aspects of this attack have been seen in the wild in the past (and it should be noted that other code-signing problems with Apple have been observed). However, he said that all past incidents have involved altering the code prior to downloading — so doing it after-the-fact represents a new (or at least, very little-known) attack vector. Further, the issue is straightforward and easy to exploit. “It’s not rocket science in a way that’s kind of frightening,” he said. Accordingly, the researcher said he was able to take a “scriptkiddy” approach to developing the PoC for the flaw. The resulting PoC consisted of 22 lines of Swift code for the malicious executable, 18 lines of AppleScript for the first part of the dropper, and 16 lines of shell script for the second part of the dropper. In the PoC, if the dropper executes, it infects all of the applications in the app folder. There are some silver linings to all of this. For one, there are potential giveaways for users. For one, the PoC results in “double-dock” icons where the infected app has two icons stacked on top of each other – representing the malicious process and the legitimate one. “The malicious executable won’t quit bouncing, like a kid on sugar, and the other one looks normal, so it’s immediately suspicious,” Reed said. This can however be rectified with coding changes. Another giveaway is that there will be two processes in the activity monitor. The “malicious” process and the renamed, legitimate process. Users can also use the osquery function to check the signatures of their applications. There’s also a preventative option, in the form of Santa, a Google tool. 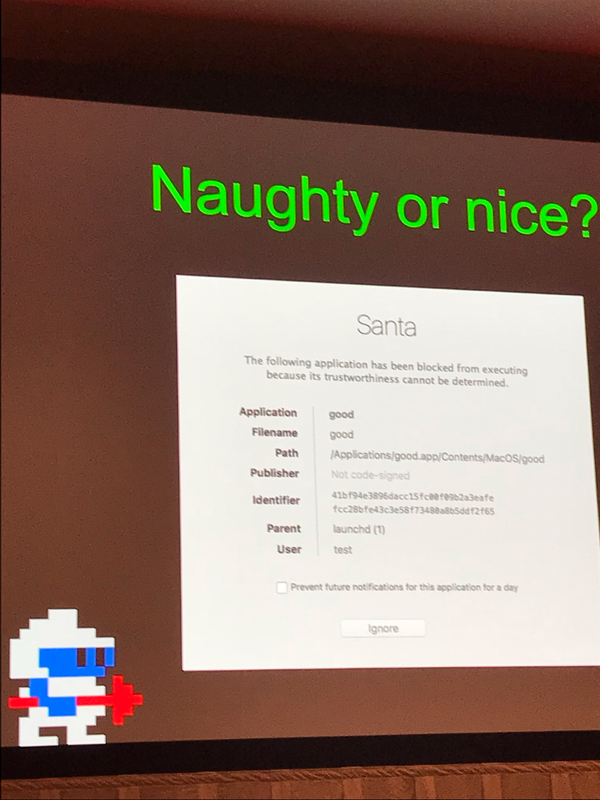 It literally determines what’s naughty and what’s nice in terms of code on machines. 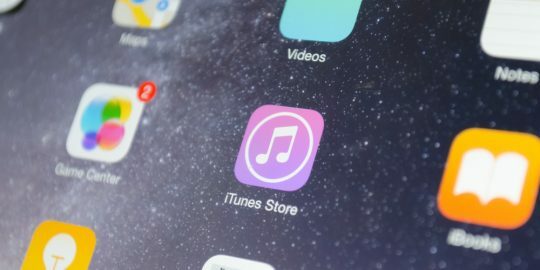 “Using this in lockdown mode will allow whitelisted apps to run, while modified apps will be blocked, so malicious code really can’t execute,” Reed said. And finally, there also are some exceptions when it comes to what’s vulnerable. All of Apple’s own apps and some third-party software do their own internal code-signing checks, and if they fail, they crash. What’s almost certain is that Apple will be unlikely to address this anytime soon, since macOS is functioning how it’s meant to, Reed said. The best approach is for developers to build in checks for their own signatures when they run. I'm not really sure how seriously to take this exploit. Modifying signed application bundles usually requires explicit root authorization. If you are already on the victim system, and you can modify signed application bundles, you've got lots of other damage you can do without getting a bouncing app. Won't an attacker need to have seriously compromised the victim system already before trying this stunt?